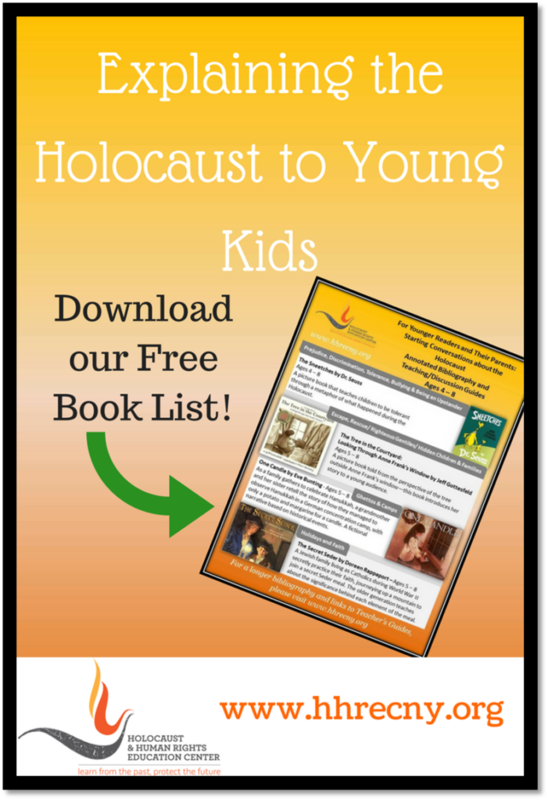 Holocaust Books for Young Readers Books often facilitate conversations about the Holocaust. It can be challenging to find an appropriate selection, and the titles listed below for some recent publications may help you. Please be sure to read the book first, to make sure that it is fitting to share with your child (ren).